Clicking here to join NOW! YIOZ offers family and individual membership plans. 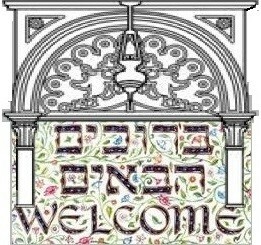 We are one of the few Shuls in the greater NYC area that does not sell seats for the High Holidays.We are a Shul with tremendous opportunities and a vibrant community. Checks made out to YIOZ can be sent to the following address: Young Israel of Ohab Zedek P.O. Box 418, Montvale, NJ 07645. Of course, we realize that our membership rates may represent a hardship for some and, as always, we are committed to making YIOZ membership accessible in a respectful and dignified manner regardless of your financial circumstances. If you cannot afford to pay the full amount of dues or would like to discuss options concerning making payments in installments, please reach out to Rabbi Hain at shmuelhain@gmail.com to make an arrangement. We, the YIOZ officers, and Board members look forward to serving the shul to the best of our abilities. Please do not hesitate to reach out to any of us with questions, comments, or suggestions. Pesach in 10 Easy Steps!